Through discussions, the children have designed and made a healthy-option pizza looking at calorie and health benefits to suitable changes. Take a look at the photographs below. Year 5 P.E. lessons will take place on TUESDAY and THURSDAY. 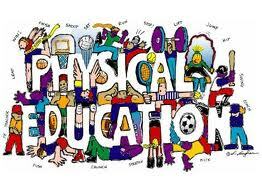 Children should have their P.E kit in school everyday. Children should read four times a week and record this independently in their school planner. This should then be signed off by an adult. This can be any book/magazine they wish that is of the correct standard. Some children may have books suggested to them by their teacher to make sure they are of the correct level. Children should have access to their planners in school every day. It is the children’s responsibility to make sure their planner goes home at the end of each day to record their reading / homework, and comes back into school the next day. If they forget their planners, their reading should be recorded on a piece of paper and brought into school. Children will be given a spelling list to complete each week. These will be sent home every Friday to be returned (and tested) the following Wednesday and should be used as an opportunity to learn spellings rather than just copy them out! Other homework tasks will be sent home by the class teacher as and when required. Check out our Year 5 Twitter page (@Malvernyear5) for pictures and updates of some of the exciting work we do in class! Tick, tock, tick, tock…the hands on the clock never stop. From the moment w are born, from toddler to teen, middle age to elderly, time stops for no man. Find out what happens to our bodies and brains as we grow older, and how we cope with these changes. Take a good look at yourself…how has your face changed since you were a baby and how will it change as you grow older? Can you photograph it, change it, age it? And what would happen if the clock struck 13? In ‘Tom’s Midnight Garden’, he travels to the past. What an adventure! Imagine you could time travel too: where would you go and what would you like to see? Will you head back to your past or into your future? You decide! Tick, tock, tick, tock … the hands on the clock never stop! It’s time to suspend your belief and open your mind. We’re going on a magical journey to Alchemy Island! Can you find the gold hidden deep in the Island’s mysterious landscape? The only way is to study the map, unravel the riddle and begin your adventure. On the way, you must do all you can to learn about gold and master the ancient art of alchemy. Be creative and try to impress the Island’s team of ace alchemists! Will they praise your scientific expertise? What if there were a video game version of Alchemy Island? Could you compose a stunning soundtrack to bring this mysterious landscape to life? Arachnids, invertebrates, molluscs and myriapods, hiding in nooks and beneath darkened rocks … Come search for these minibeasts, and let’s sort them out! How many legs? How many wings? Who does it eat and who eats it? Can you classify it? Can you draw and make it? Build a bug hotel or a wonderful wormery – then watch them wriggle and burrow, mixing the earth as they go! Discover where in the world you’ll find the most dangerous beasts – scorpions, ants and venomous spiders … perhaps the Vespa mandarina japonica is the one that you fear? Why not become a ‘Beast Creator’? Selectively breed a killer predator that saves the world from the super-strong aphid. But I know an old lady who swallowed a fly. I don’t know why she swallowed a fly … perhaps she’ll die? Let’s travel back 5000 years to the dusty realms of Ancient Egypt. Cruise along the Nile, entering a world of mysteries and curses, mummies and kings. Find out about life on the river’s fertile banks, discovering Egypt and its fascinating culture. Unravel the secrets of ancient tombs, using historical sources and age-old artefacts. Find out about powerful pharaohs and grandiose gods! Make yourself a nemes and you’ll really look the part! Journey through space…the final frontier! Navigate beyond the Sun, the magnificent, blazing star at the centre of our solar system! Investigate the eight planets: Mercury, Venus, Earth, Mars, Jupiter, Saturn, Uranus and Neptune. Take a look at the Moon, a celestial body that orbits the Earth. Programme a ‘rover’ to traverse a lunar landscape and work scientifically to investigate gravity … and what happens when there is none! Compare the time of day at different places on Earth and use GPS satellite navigation systems to track hidden treasure. Get in a spin, making simple models of the solar system and listen to the haunting sounds of space-themed songs. Then it’s three … two … one … BLAST OFF! Build and launch a rocket for an important test mission. Exploring space is probably the greatest adventure that humankind has ever undertaken. Are we alone or are there other life forms out there?